In September of 2011 we started the Bing Maps v7 Module CodePlex Project. The purpose of this project is to create a centralized location where developers could find and share useful modules that expand the functionality of the Bing Maps V7 API. Since the start of the project, we’ve had 15 modules submitted. Today, I would like to highlight the two newest modules added to the project and provide a few updates to existing modules. This module was created by Brian Norman a Microsoft Bing Maps MVP from Earthware Ltd. This module allows you to import GeoJSON files into Bing Maps. A GeoJSON feed will be downloaded and parsed into an EntityCollection which can then be added to the map. Additional properties are captured and stored in a Metadata tag on each shape making it easy to relate shapes to their metadata. I created this module because I wanted a simple tool for quickly visualizing Well Known Text on Bing Maps. This module allows you to easily read and write Well Know Text data from Bing Maps. 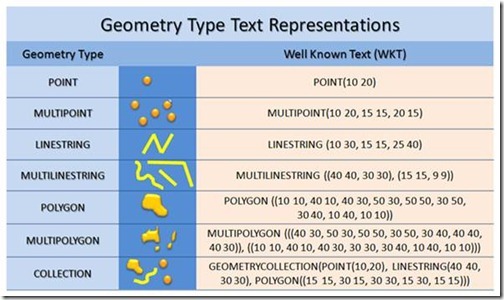 When reading Well Known Text data it is parsed into Bing Maps shapes; MultiPoint, MultiLinstring, MultiPolygon and GeometryCollection are turned into an EntityCollection of shapes. To write Well Known Text simply pass in a Bing Maps shape and the Well Known Text equivalent will be returned. 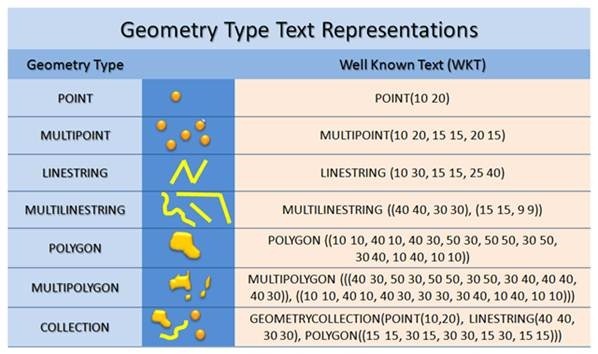 Well Known Text (WKT) is an OGC (Open Geospatial Consortium) standard for representing Geospatial Data. In fact WKT is supported by the spatial types in Microsoft SQL Server 2008 and above as well as SQL Azure. *Project Idea: Combine this module with the Shape Toolbox Module and make it easy for your users to draw on the map and upload the shape data into Microsoft SQL Server. GeoRSS Module – GeoRSS is a common XML file format for sharing spatial data as a syndication feed. This module also supports GML, an OGC compliant XML format. This module has been updated to support Complex Polygons (polygons with holes). GPX Module – GPX is a common XML data format that is used by GPS devices. Many GPS devices allow you to stave points, routes and tracks which can then be exported from the device in GPX format. This module makes it easy to view these files on Bing Maps. We’re also improving our existing traffic coverage in the US to include traffic information for side streets in addition to freeway traffic information. See below for enhanced coverage in Seattle. In addition to these traffic improvements, Bing Maps will also start to use Nokia’s geocoding services in a number of countries offering improved directions. This update, while not always visible to users, is another important milestone in our partnership to build the world’s best mapping platform using Nokia and Microsoft’s assets. Thanks to our friends at Nokia for their dedication along the way. Together we have enabled a stronger Bing Maps experience and we hope Bing users in these respective countries reap the benefits of our partnership, notice an increase in address search relevance, and enjoy the addition of traffic information – especially those of you in the US who are adventurous enough to travel during the Memorial Day holiday! Microsoft Bing Maps team members Tom Barclay, Brad Clark and Ryan Tracy talk about how their work with Dell Data Center Solutions on their new microsite in Longmont, Colorado, enables them to deliver the world to the world — for less.